"Fuller House" will premiere its fourth season in December. Netflix shared a premiere date for the new season and teaser photos featuring Candace Cameron Bure, Jodie Sweetin and Andrea Barber in a tweet Tuesday. Season 4 will premiere Dec. 14. The teasers show D.J. Tanner (Bure), Stephanie Tanner (Sweetin) and Kimmy Gibbler (Barber) channeling Charlie's Angels, celebrating Christmas and speaking to Uncle Jesse (John Stamos). 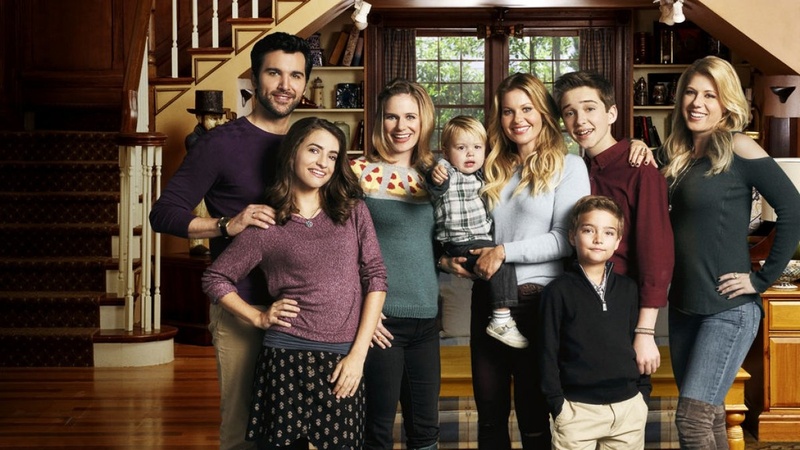 "#FullerHouse returns December 14 - FIRST LOOK," the post reads. Bure confirmed the news in a video featuring the cast Tuesday on Instagram. "I have the answer to the question that so many of you @fullerhouse fans have been asking!! Fuller House Season 4 is premiering on...... (you'll have to watch all the way through to find out) #FullerHouse #Season4 @netflix," she wrote. "Fuller House" co-stars Michael Campion, Elias Harger and Soni Nicole Bringas. The series is a sequel spinoff to "Full House," which aired for eight seasons on ABC from 1987 to 1995. Bure denied "Fuller House" was canceled in an interview with E! News this month. The actress said she has "no doubt" the series will be renewed for a fifth season.